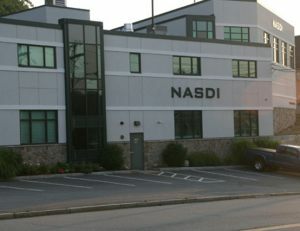 Nasdi, LLC is a full service demolition and site redevelopment contractor operating throughout Massachusetts and New York. Established in 1976, and, they are one of the nation’s leading experts in demolition and environmental remediation services. So when it came time to build out their headquarters, they too sought out the experts. 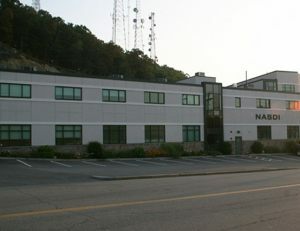 Coastal Construction took on the ambitious expansion and remodel of 32,000 square feet of office space in Waltham, MA. 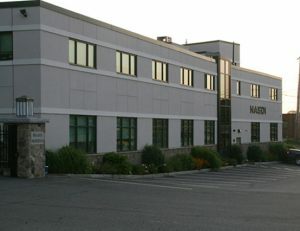 The project had many challenges, including the addition of an infill building between two existing buildings and the conversion of open parking below into finished office space. All windows were replaced and new exterior EIFS facade finish. © 2018 Coastal Construction. All Rights Reserved.